BEGINNING AMERICAN WALTZ at THE BALLROOM! 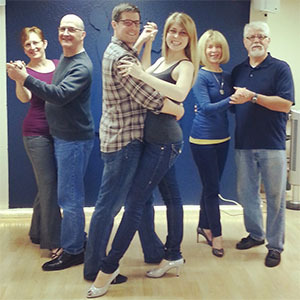 The Ballroom is a great place to learn to dance. The environment is friendly and inclusive. The teachers are amazing. I started here 3 years ago as a beginning ballroom dancer and have loved every minute of dancing here. The class starts promptly at 7:30 and ends at 8:30. The series is 4 weeks and the cost is $52 if you preregister and $62 at the door. To register go to our user friendly website theballroomexperience.com or call 586-1136.